Don’t let someone take part of your income or wealth because they gave you advice that benefits them more than you. In this installment, I encourage each of you to be less gullible when listening to advice. It’s better to miss a good opportunity by saying no than to keep getting taken advantage of. 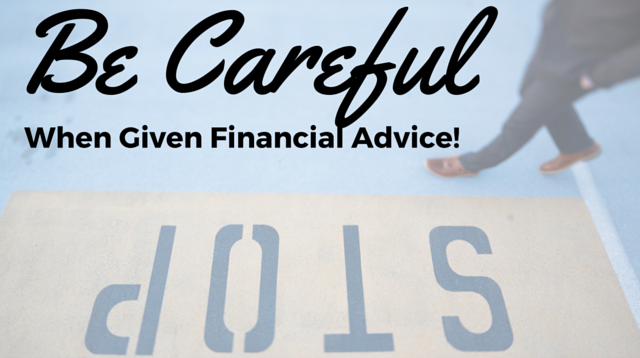 The purpose of this installment is to get you to begin asking the question, “If I follow their financial advice, do they stand to gain financially if I follow that advice?” If the answer is yes, slow down and be extra cautious to make sure it really is good advice.